Please join us in welcoming new programmer Dwayne (D' Bandit) Pitt into the program family. D' Bandit will be delivering De Treasure Mix each and every Saturday from 6-9PM offering a strong mix of Reggae (including Canadian Reggae) and Soca. This show will continue the legacy of presenting Caribbean culture to the masses through artist interviews and a diverse mix of up-to-date and classic music. D' Bandit brings a strong awareness of the music and connection to artists and community over a decade of deejaying and concert promotion across the GTA and North America. He is excited about the opportunity to showcase the strengths of his culture and Caribbean heritage. We believe he will add much to the programing content on the dial (at 105.5FM) and help CHRY embody our role as talent developers of new broadcasters across the GTA and Canada. Join me every Saturday from 6pm-9pm on Toronto’s number one College Radio Station. 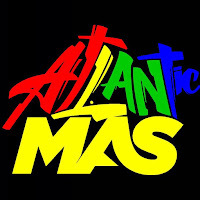 I intend to bring the best in Soca and Reggae to the FM dial in Toronto. Similar to what has been done on my internet radio for almost 10 years. Please check out my podcast of my past shows to get a feel for De Treasure Mix at http://www.dbandit.com/treasure-mix.